490.00€ Bottle 75 cl Tax incl. VINEYARDS VINIFICATION HARVEST VARIETIES 97% Viura, 3% Malvasía. FOOD PARING AGEING PROCESS NUMBER OF BOTTLES The whole cluster of grapes was crushed and then pressed in a wooden twin-screw vertical wine press. Fermentation took place in American oak barrels. 8.125 bottles (75 cl). 252 months in 225 litres American oak barriques. 67 months in a concrete tank. BOTTLING DATE 29th January 2014. Iberian Ham, stuffed capon, truffled cheese, white veal and hake cheeks. RECOMMENDED SERVING TEMPERATURE Between 14°C (57F) and 15°C (59F). The grapes selected for this wine come from Pago Capellanía, planted in 1945 and located at an altitude of 485 metres in the highest area of our Finca Ygay. 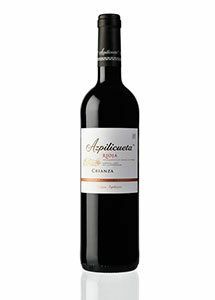 Rioja Alta. SCORES PARKER – WINE ADVOCATE (USA): 100 points. It seems to be getting younger and younger with time in the glass; I have no doubt we’re talking about a white for the next 50 years. The wine is simply stunning. Production began in early October, at a slow and progressive pace, as required by the weather conditions which, in turn, contributed to the optimum development of the grapes and also helped to achieve the optimum moment of ripeness. Grapes of the Viura variety, which produces large bunches of small grapes, were the first to be harvested. Alcohol content of the grapes was 13.5%, with high levels of acidity.